Check out The English American written and read by Alison Larkin. 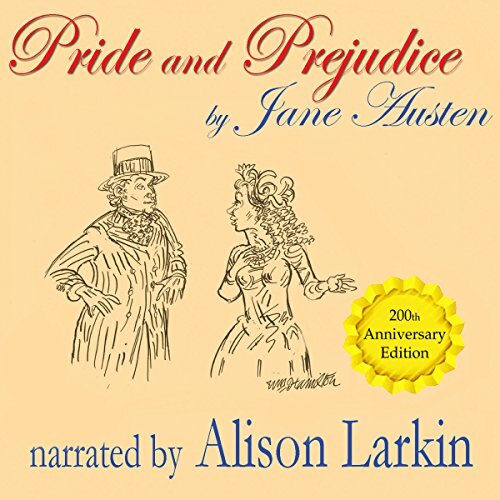 Where does Pride and Prejudice - the 200th Anniversary Audio Edition rank among all the audiobooks you’ve listened to so far? My absolute favorite so far! 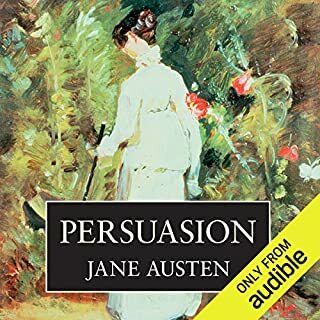 I love listening to classic novels and I am a fan of both Alison Larkin and Jane Austen so I was thrilled to hear about this recording. You can't pick just one, as they're all so distinct. Alison Larkin's portrayal of Mrs Bennet is very, very funny. So is her portrayal of Mr Collins. Elizabeth, Jane, Lydia, Mr Darcy, Mr Wickham - they're all very different and wonderful characters in their own way. A gift for bringing each character to life in a real way. You feel like you're there, in England at the start of the 19th century! It's a totally accessible read - not boring for ONE MOMENT and Alison Larkin has a way of playing the male characters that is real. I'm going to play it to my 12 year old daughter. It will be a great way to introduce her to Jane Austen. I was very moved by the part of the book when Elizabeth finds out what Darcy has done for her sister and her family. 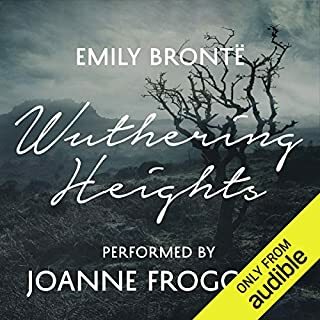 There are other recordings of this great novel and I have listened to a couple of them. 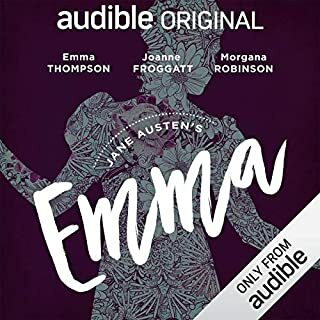 Even the famous actresses didnt come close to this recording which has all of Jane Austen's wit and life, combined with the depth that makes Austen's books so unforgettable. Sometimes a narrator and author fit perfectly. This is one of those times. And I loved the music too! I THINK it's Alison Larkin singing one of the songs between the chapters towards the end - hard to say - but that's really different. The song sounds like it's one of the Bennet singers singing. I loved it! This is more than an audiobook. This is theatre! Within the first three minutes of listening, I felt transported. I could have been in the West End! Wow. Allison Larkin grasps the characters so well, that they become absolutely visible, tangible and delightful. A real joy. If you could sum up Pride and Prejudice - the 200th Anniversary Audio Edition in three words, what would they be? Alison Larkin is a terrific narrator, she speaks with verve and drive, and she does a great job moving from one voice to another, and from narration to a character's voice, so that the book can be easily followed without thinking about which character is speaking. Pride & Prejudice should, of course, be read by everyone. It is a great story, one that could occur today, in some sense, with some of the environs shifted. But you can also live it as a reader of a circa-1790s aristocracy story, listen to the narrative & with a bit of imagination, stretch yourself into a horse & buggy context of England in the period. Jane Austen as she was meant to be heard! Jane Austen would be delighted that Alison Larkin brings out all the wit, deep love, and iconic characters in her great story. Because Alison Larkin has a similar background to Jane Austen she is able to capture the authentic accents and attitudes of all characters. Elizabeth Bennet, and Mrs. Bennet have never been more beautifully brought to life. Mr. Darcy is also given a new dimension of attraction and interest. I laughed with happiness for while I had always loved Jane Austen, I had never heard Pride & Prejudice delivered with such passion, wit, and authenticity. With Jane Austen's Birthdaty coming up in December, as well as Christmas, the 200th Anniversary Addition makes a great gift. I am buying many! 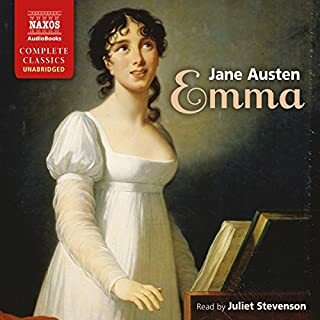 I can't stop listening to this most recent recording of Pride and Prejudice celebrating Jane Austen’s 200th anniversary.. Over and over again I replay certain scenes. I don't know who deserves the most credit, Alison Larkin the reader or Jane Austen the writer. They are totally co-mingled in this remarkable recording. In all my reading of Jane Austen, over the course of many years, I somehow never did get how truly witty and wise Jane Austen was and is. Alison Larkin brings it all to light. I fear that when reading to oneself one (me) may tend to become glassy eyed now and then. All I know is I missed much which came as a revelation through listening to Larkin’s wonderfully expressive reading. So many characters, so many voices. All crafted with delicacy, care and intelligence. I could bring up many scenes from the whole great thing, but having just finished listening to the recording for the second time the scenes that stand out just now are those most recently read; those from the last chapters. 1. Mr. Bennet's reading of Mr. Collins' letter. I never in my earlier readings really took in either Mr. Bennet's wit or his really unforgivable indolence. 1. The confrontation of Lady de Burgh and Catherine. 3. The marvelous and ever so satisfying scene between Lizzie and Darcy where things are finally, thanks to each the other, worked out. In this day and age where people have a hard time expressing themselves it is refreshing that these two proud, prejudiced and splendid creatures make themselves beautifully clear to each other. Most satisfyingly indeed. Plain and simple, and I hate to say it, but without this remarkable narration much of this great writer was lost on me. Somewhere in "Aspects of the Novel" alluding to actors, E. M. Forster observed and, I paraphrase: "It is inexplicable to me how a handful of neurotic men and women can improve upon a perfectly good work of literature and yet time after time, they do". There you have it. It certainly is true for me. And let me add that the music is dynamic and delightful, Wonderful work. The little known Mozart excerpts fit perfectly. Great pains have been taken to mimic musically what has just transpired between the characters. The music ends and begins each chapter and It makes one smile and sometimes laugh aloud. I have other books I should get to. I just can't for the present. This novel is doubtless a classic is easily one of my favorite stories. The narrator is fine, she has a decent voice even when portraying the males (some women just sound absurd). However, the piano bits placed between random chapters drive me crazy. I don't know why exactly but they take me out of the story completely. Wonderful, the only negative is that sometimes the male voices are bit weak but she does an excellent Mrs Bennett . Would you consider the audio edition of Pride and Prejudice - the 200th Anniversary Audio Edition to be better than the print version? Only in that it helps add a little something to the characters. Not enough room here to discuss it in full. I simply love this entire story. Have you listened to any of Alison Larkin’s other performances before? How does this one compare? Sadly no, but I may look up other book she has done because of this one. No, I wanted to savour it as I did the book. I first read this book for a college class and liked the story so tried the audio version. I've twice listened to this book on audio. In this version, Alison Larkin (narrator) really makes this story come to life! I always thought the story was predictable, but good. This version is worth a listen. I like historical fiction because it exposes me to cultures and experiences in a way that interests and captivates me. This story gives me that feeling of understanding by living the experience rather than learning abstract details. I wanted to listen to the story in several sittings...It takes a bit of concentration and focus to follow the details. Such an incomparable, perfect narration of this lovely classic. 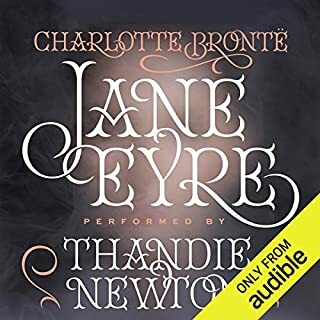 This is by far my favorite audiobook I have ever purchased, and this version was read with such perfect execution I could hardly stop listening even to sleep! Would highly recommend this to all as an entertaining, and enjoyable read. I believe I've listened to it 4x already, and intend on enjoying it many more times in the future. The audio edition I found bought all the satirical elements of the story to life which a print version has never really done for me. Really enjoyed listening to this performance by Alison Larkin she brings all the characters alive. I especially liked her interpretation of Mr Collins and Lady Catherine. Would definitely recommend it as a very enjoyable listen.